Starting December 21 with replays on December 24, 25, 31 and January 1, CNN Philippines reflects on the stories that affected the Filipino and shaped 2016 with these programs: On the Record, and Rewind 2016. 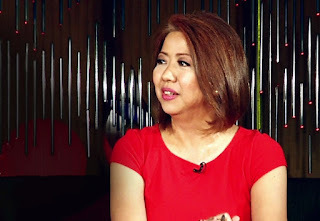 On December 21 at 7PM, On the Record, hosted by veteran journalist Ruth Cabal, gives a journalistic perspective on the media landscape of 2016. With the rise of trolling and the spread of fake news, journalists face many challenges as they report their stories. This discussion not only covers the challenges the media face, but the way journalists report and how they can remain accurate and accountable in communicating their stories. Much is to be said about 2016. From lifestyle to current affairs, this year saw huge changes. From the Philippine presidency to the U.S. elections, countries are commencing a new era of authority and influence. This year also saw another victory for Manny Pacquiao, the canonization of Mother Teresa, and of course, the reign of Pia Wurtzbach as Miss Universe. These are just some of the many high points of the year, and in no way does it encompass the totality of 2016. At 7:30PM on the same day is the yearend review of Sports Desk. Mico Halili and Andrei Felix review a year in sports and look back at the most memorable moments of 2016. Join them as they recount the triumphs and defeats of the sporting year. Pinky Webb highlights the stories of the year — the triumphs, tragedies, events and faces of 2016 at 8PM of December 21. She rolls the tapes back to 2016’s biggest news, politics, and entertainment stories. Aside from the year-in-review shows, welcome 2017 with CNN Philippines’ New Year’s Countdown on December 31. Starting 8PM, join Anderson Cooper and Kathy Griffin as they host CNN’s annual New Year’s coverage and usher in the new year with their insightful and witty commentaries. Aside from these programs, CNN Philippines also features top episodes of our current affairs and lifestyle programs. Keep an eye out as we air 2016’s “Best of” episodes from December 26 to January 1. Join us as we relive and reflect on the defining moments that make up this year’s Filipino story on CNN Philippines, Free TV Channel 9 and livestreaming on cnnphilippines.com/video.